There are poetry readings, performances and workshops galore taking place on National Poetry Day and in the weeks following, find details on our events map. 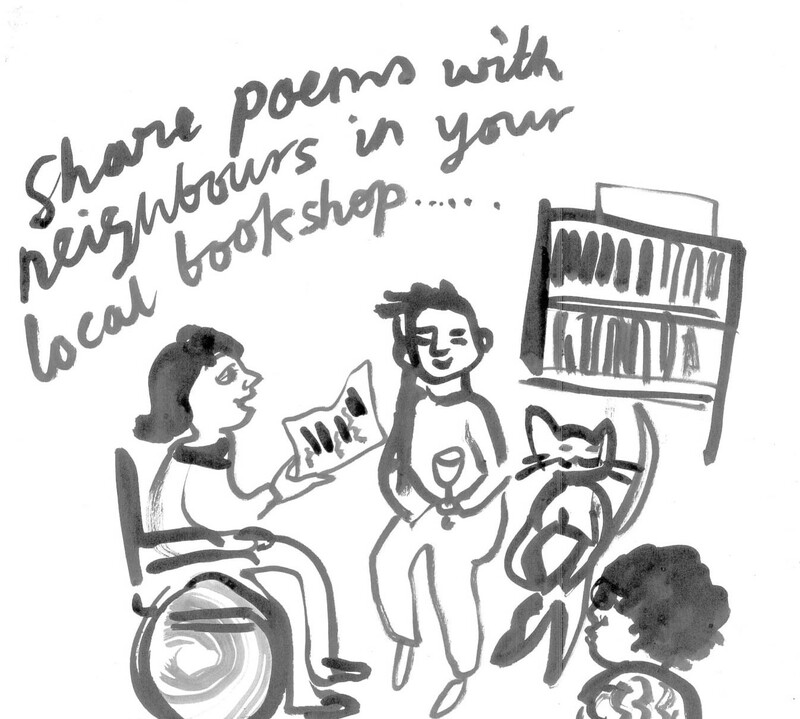 And why not set up a poetry event of your own? There’s never been a better time to do it. Our Poetry Toolkit is full of practical suggestions for anyone thinking of hosting a live poetry event, and we’ve also got advice on running a Poetry Karaoke session. Everyone is welcome at Poetry Karaoke, events where people can simply share the poems that mean most to them, and discover new ones too. We’re grateful to poet and artist Sophie Herxheimer for creating these glorious Poetry Social posters – great to print out and share at events. We hope you enjoy National Poetry Day, and if you took part in the celebrations in 2018, please tell us about it. You can do this by emailing poetryday@forwardartsfoundation.org or by sharing activity on social media using #nationalpoetryday and #poetryforachange. If you have a moment to fill in our survey that would be much appreciated, and will help us make next year’s National Poetry Day even better!